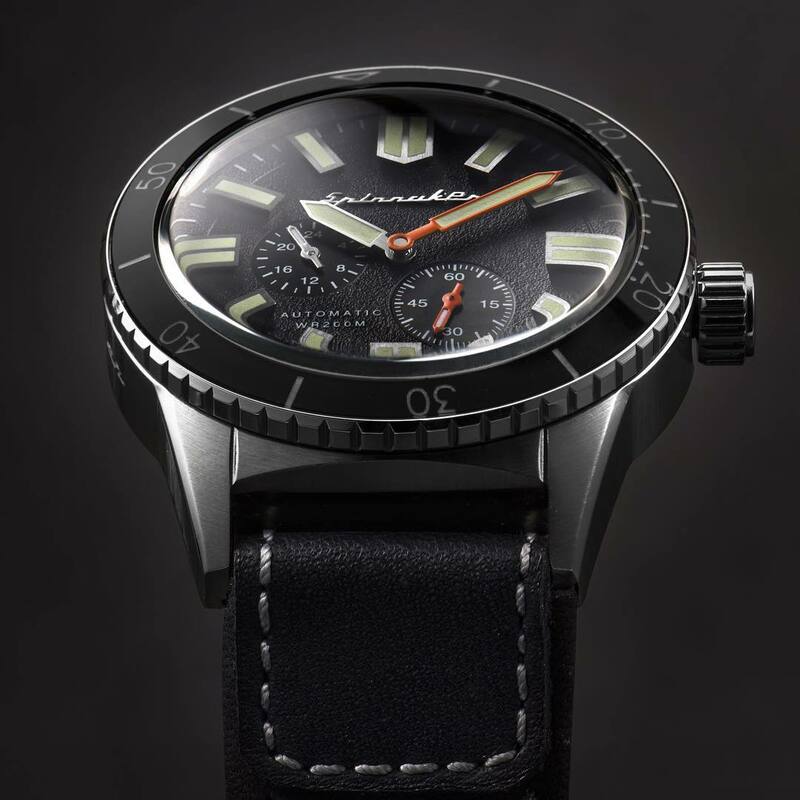 Here’s a vintage inspired diver – aptly named after the legendary Austrian marine biologist and scuba-diving pioneer, Hans Hass who was known for being one of the first scientists to popularise sharks. Like his contemporary, Jacques-Yves Cousteau, he was also a pioneer in the field of underwater filmmaking. 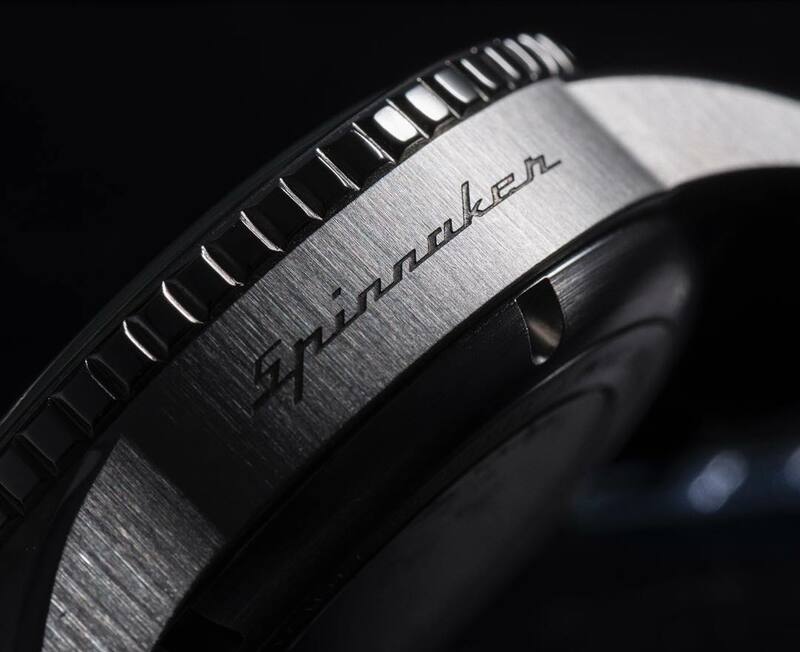 The Hass Diver’s 43mm case has been constructed from 316 L Marine Grade Stainless steel with a brushed finish – on the left lateral side you’ll find a rather nice feature – an engraved Spinnaker logo while an old school unguarded crown sits in the middle of the right side. 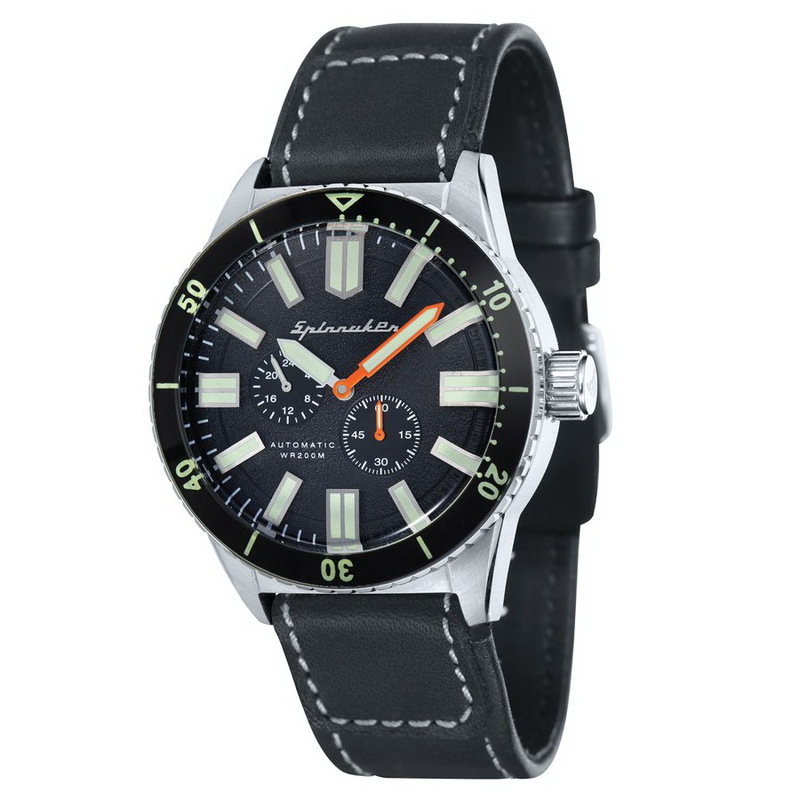 The case is water-resistant to 200 meters and is equipped with: hardened mineral crystal, a unidirectional rotational divers bezel with a Hardlex crystal inlay and 15min. 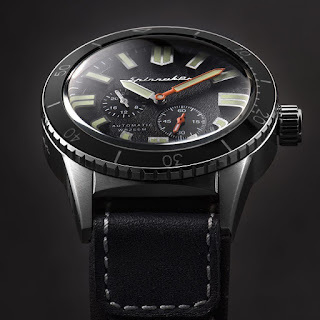 dive-time-scale, and an exhibition caseback that affords a view of the movement, below with its custom blue Spinnaker rotor – the 21 jewel, Japanese made Miyota 9015 cal. A textured dial is available in black or white with Swiss SuperLumiNova applied 3D markers and hour and minute hands. A sub-seconds display can be found at 4 o’clock and 24hr at 9- deliberately placed to gain maximum legibility of dive-time while in operation. 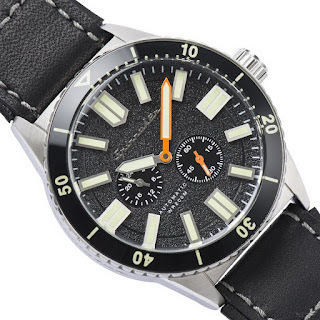 Strapped with a water-resistant strap and packaged in a custom rugged wooden box the Hass Diver pays homage to its namesake. It is priced 450USD. I must admit, I know very little about Spinnaker Watches, they tagged me in photo on Instagram, so I checked them out along with their watches and a number of bikini-clad babes - like them, the Hass Diver is an attractive-looking model! 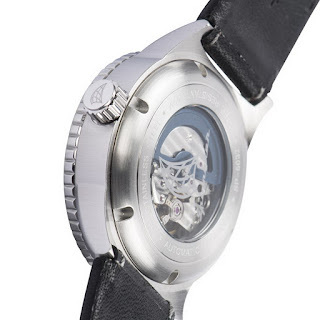 It should be 21-jewel 8S27, same as Sevenfriday.